=OS= Beta Release Thread 156 - Read the first post! All Forums >> [Artix Entertainment Games] >> [Oversoul] >> Oversoul General Discussion >> =OS= Beta Release Thread 156 - Read the first post! 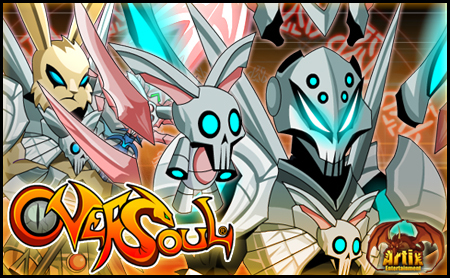 Due to the amount of new game projects in the works, Oversoul release will be less frequent for Summer. Since this game is being directed at a more mature player base there will be things mentioned or shown in Oversoul itself or on the Oversoul Wiki that are not appropriate for the forums. As the various things that are shown or mentioned in Oversoul or on Oversoul's Wiki may be appropriate for the game that does not make it appropriate for the forums so please keep the =AE= Comprehensive Forum Rules in mind when posting. If you are unsure whether what you want to post is in line with the Forum's Rules please PM an Archknight or Moderator in AE Staff and Staff Assistants List for clarification. Any and every mention of methods and programs that grant users unfair advantages over each other, such as finding a way to get 100% possession or encounter rate, stops now. This is bug abuse and cheating, both of which are not allowed as said in the Universal Forum Rules > Posting Behavior. Every post after this will deleted on sight and the poster warned, with possible other unwanted consequences to their forum accounts. Just thought I'd collect a few notes on this thing that Mirtha and Kiyone are talking about, in the case we can either peice it together/keep hope alive for this game. Now the way I see this delay on the announcement. Maybe the game isn't quiet as dead as the community thinks it may be. Its possible something behind the scenes has chance. Where what we speculate Artix announcement about game would be. Has to be delayed because of it, So lets hope something good is coming then. Said by Kionye at the beginning. I'd assume when he said this he was hoping something would occur but did not want to give anything away without Mirtha's say so. Said by Mirtha. This was the first real post saying something was coming, though it said nothing about it. Though I have to ask if that was the thing Mirtha reffered to when she said: "You wouldn't want to miss out on something really fun... ;)"
Just confirmation it was not all card packs being added as some suspected. Something I can, but won't say. The thing that is coming is moving along smoothly but slowly as time is unfortunately divided, but it has all the approval and backing it needs. That said, crap happens. I won't say what it is, because there is always a chance, however small, that it won't happen. I won't say when it is, because unforeseen delays come up. I don't want to build up too much hype, too much hope, until we are 100% certain and have a confirmed date, just in case. But I will say that Kiyone has worked exceptionally hard on this, and Gal and Warlic are doing their part as well. Hopefully you won't be waiting too long, hopefully you won't be waiting in vain. But as of now, something is coming, and while it isn't as grand as the game deserves, such as the long story quests it never got, it will be worth the wait. Lots of info here. First of all, just a heads up to not get too hyped, just in case this falls though. Fingers crossed everything goes OK though. Also, it's not the grand quest. My known AE official titles. AQWorlds Report Moderator, Battle Gems Testor, AQWorlds General Discussion ArchKnight, and Oversoul General Discussion ArchKnight. Sadly I'm not a writer. Granted my friends have told me I should be writer since their amazed of what I can come up with or use from real life for story telling. Plus its a bit my fault I don't bring up my titles up more. I'm a very modest person. I guess I can share my teaser. Granted thats means I may have to make a few more of them & then theirs this one music video that would be good to post on twitter which I think they may like. To answer a very important question. To my knowledge I do not have a public NPC at this time. Also got a goodie for you guys. ENJOY! The teaser seems to imply that a lot of blue and purple will be needed. At first, I thought this a practise for some sort of new war system. But taken with Kioyne's Adaptable comment above, I'm not so sure. You need staff and work to make a war after all. @Sambud until we get full clear from AE staff on what were planning. Where keeping the details to speculation and cryptic clues. This is mainly due to how the nature of how the behind scene stuff works and staff focusing on TLAPD. Once we get the full ok. The beans will be spilled on this. Just so people know why we don't know yet. Simple, I put my character in the teaser. Whats plan for you guys is very adaptable. Just so you guys know. Things are progressing nicely for whats plan. Here's more I can give out for you guys. I think next will be a non AE related video to get you psyched up which will have parallels to what I consider Oversoul. Just posting them all together so we can all take a shot at figuring it out for fun. Something adaptable... I have some theories. Don't know whether I'm correct, so I'll wait until somebody asks me before I say what I think it is. Either way, sounds exciting! Maybe I should dust off my old OS Art Galley and account. I think it's worth doing. Also, I'm curious on your theroes. I have a few based on the above, ranging from War System, Faction System, Tournaments,Character Creator, bt all the ideas I seem to have seem to have a contradiction in one hint or another so I' not 100% on any of them. Interesting... so I'd assume that if what the post says is true, it's unlikely to come out on Halloween or on Thanksgiving. Which is sad news but probabaly expected. Unless of course he's lying to placate them, but I doubt it. I guess either way it's time to guess. I'm not sure we have enough info to make a reliable guess, but it will have to do for now. Anyone else notice it says Kiyone is a Oversoul ??? mod or dev maybe writer perhaps? The OS seasonals can come out at anytime warlic can code them in pretty easily. If anything we are going to get a story or something not the mainquest more than likely. 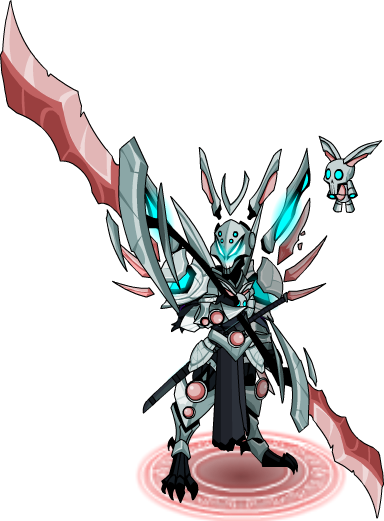 Also Nulgath released a frost wolf warrior gone cost some money but he said its ok to use it if you pay for it. Its about time someone notice teaser zero. You guys had me worried I would sneak that by ya all. So the ??? will be reveal when we have the plan Oversoul release. Maybe sooner. We shall see. Anyway, things are going well with what we have plan. We just got an important ok on our progress so hopeful things will be sooner then later. Clue: Its going to be fun and interesting. Huh, something fun and interesting in Oversoul. Interesting. You know what'd be fun, just throwing something out there, imagine we no longer have to level characters, and they all have their own respective stats. Idk, I think that'd be really cool. Is asuka still associated with Oversoul? I'm pretty sure him and Sage left. I don't know if they're still considered testers, but there aren't really any new releases to test. So who are the tester and mods currently? I know we don't have any things to test I just wanna know who the current team is. Asuka is lead tester for AQW last I heard so we need a game lead if anything new comes. IIRC, Reens was the only moderator for OverSoul. I'm assuming Sage is still on call regarding testing, but doesn't do much cause the game is probably pretty inactive on the development side. Dmage had a mod tag. could also just be Oversoul Fan. If it was fan it would not be marked as ???. Also, something that just hit me: Mirthra, Kiyone, assuming this gets through... how much noise will you guys make on it? Oversoul is hardly advertised, and advertising is important. You could rewrite the entire game, add a ten year story, give unlimited chars and all of the SG, but if noone hears about it other then the forum people, noone will play it. You need to go out there with a Omegaphone (like a megaphone but can be heard worldwide), stand on top of a well populated island and go "ATTENTION WORLD! PLAY OVERSOUL! WE JUST ADDED (NEW FEATURE) HERE!" How would you know though. SImple logic. Why hide it if it was merely fan? The ??? do not mean fan. When the release comes they be reveal and feel free to #slap_me if you don't like the reveal or use #BlameKiyone. But I think you guys will be happy with it. With the "noise". Their is official noise plan. How well the noise will work. Not sure. This is due to various reasons/factors. Granted I'm curious myself of how well this will be receive. So need a time machine. Indirect teaser time. You may have notice I been mention a video every so often. Well here is the video. For me this is how I image the mechanics in world of Oversoul playing out. Basically my OS head cannon. At least for play mechanics which the show clips used for the video seem to match pretty well. The other reason this video is important. Its been my work music/motivation factor on the work Mritha and I been doing. Yes I been putting this on yourepeat and have a high tolerance to listen the same song over and over and over again. Plus their might be one or two secrets hidden in here to whats coming. Disclaimer: Their is no characters/evolutions coming base/homaging/paroding off the Kamen Riders/Kamen Rider related characters. With the power of 5 rings bring forth captain Planet. Something along the lines of 5 different characters all colored related. O_O ...their will no version of Kiyone as REV.